The whole point of getting inked is that you want to show off your designs – it’s your own creation and your body art says a lot about your personality. That’s great; but not everyone is a fan of tattoos and body art, and there are some occasions when it’s easier just to cover them up instead of having to make a statement about how your tattoo is an expression of your individuality. Events like funerals and job interviews, work rules and similar often call for strict dress codes and they can involve covering tattoos, whether you like it or not. Sometimes it’s easier to just go with the flow and keep ‘em hidden. Temporarily, of course. This used to mean either wearing long sleeves, carrying a cardi or a shrug (who wants the hassle?) or in some cases, using a industrial-grade foundation or specific tattoo covering makeup to try and cover up your treasured body art. It’s not the ONLY thing you can do to distract from your inkings, though, depending on where you’re inked. Here’s how one YouTuber covers her tattoos completely with makeup! Wrists are one of the simplest places to disguise tattoos, as you can cover them very easily with accessories like bangles and bracelets. Try wearing a big chunky bangle or a selection of skinny ones to keep the tattoo covered and also accessorise your outfit in style! If you have bigger inkings, even a half-sleeve, you’ll have to rely on fabric to hide the evidence, although there’s no need to go for a bulky extra like a cardigan unless you really want to. 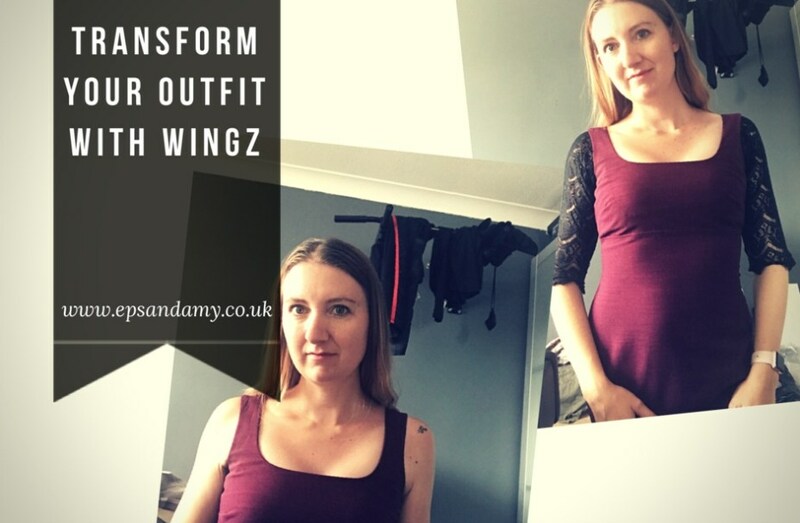 Wingz are super light, and some of the designs are available in three-quarter or half lengths to cover the areas necessary without swamping you. “I am starting a new job soon, in a school. The school has a clear dress code, in particular: no shoulders uncovered and no tattoos on show. “I have been buying new work outfits for a few months now and I have now realised that half of the dresses and tops I have bought are not suitable, I considered wearing a cardigan all the time but, in this heat, it just isn’t a viable option. Then I discovered Wingz. If you have ankle or leg tattoos, trousers and tights are probably your main option for a formal ‘no tattoos please’ type of event. Opaque, black tights will definitely cover them up, or if it’s way too warm for thick tights, try some lacy, patterned tights that distract from the inking underneath. Do you have any creative ways to hide tattoos? What do you do?